The US Department of Agriculture (USDA) plans to send its first-ever trade mission to Taiwan in April, the American Institute in Taiwan (AIT) said on Tuesday. Citing a USDA news release issued in December last year, AIT spokeswoman Amanda Mansour said that the visit would be from April 22 to April 24. She said that she believed the head of the delegation would meet with Taiwanese officials. She had no information on the specific items to be discussed. The delegation is to be headed by USDA Foreign Agricultural Service Administrator Ken Isley and would consist of about 80 people, including other agriculture officials and representatives from an estimated 40 companies, the USDA statement said. The mission’s goal would be to improve agricultural ties with Taiwan, it said. The US is Taiwan’s top overseas supplier of agricultural products, with a 31 percent market share, and US agricultural exports to Taiwan reached a record US$3.8 billion in fiscal year 2018, USDA statistics showed. The trade mission was originally to scheduled for March, but was recently rescheduled to April. Mansour’s comments were in response to a Central News Agency request for confirmation that the trade mission would take place and whether the nation’s ban on US pork containing the leanness-enhancing drug ractopamine would be discussed. The question was first raised by New Power Party Legislator Hsu Yung-ming (徐永明), who earlier on Tuesday asked Premier Su Tseng-chang (蘇貞昌) if the US agricultural delegation would pressure Taiwan to lift the ban during the US delegation’s visit. There has been no change in the government’s stance regarding the ban, Su said. The dispute has complicated trade talks and led to talks under the bilateral Trade and Investment Framework Agreement (TIFA) being suspended from 2008 to 2012. In July 2012, the Legislative Yuan passed amendments to the Act Governing Food Safety and Sanitation (食品安全衛生管理法), paving the way for US beef containing ractopamine to be imported. The TIFA talks subsequently resumed in Taipei in March 2013. 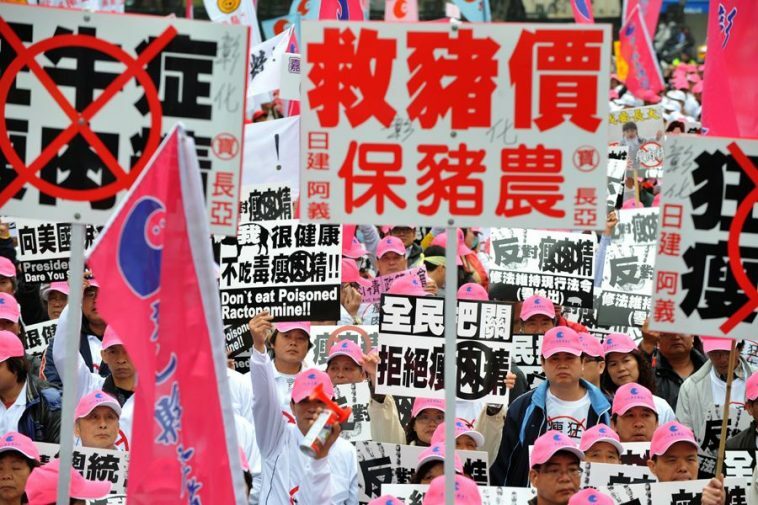 Since then, the US has been pushing for Taiwan to accept a proposed residue level for US pork containing ractopamine, which is banned as a feed additive in most countries, as there are concerns regarding the drug’s safety for pigs and humans.